Each pupil made a card prototype of their design and then gave a Dragons’ Den style presentation to the rest of their form group. Pupils had to vote for their favourite designs and only a limited number could go forward into production. 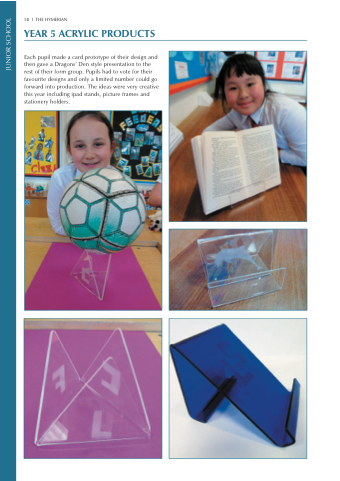 The ideas were very creative this year including ipad stands, picture frames and stationery holders.